He said unto them, Have ye received the Holy Ghost since ye believed? And they said unto him, We have not so much as heard whether there be any Holy Ghost. And he said unto them, Unto what then were ye baptized? I pictured the same thing every time. 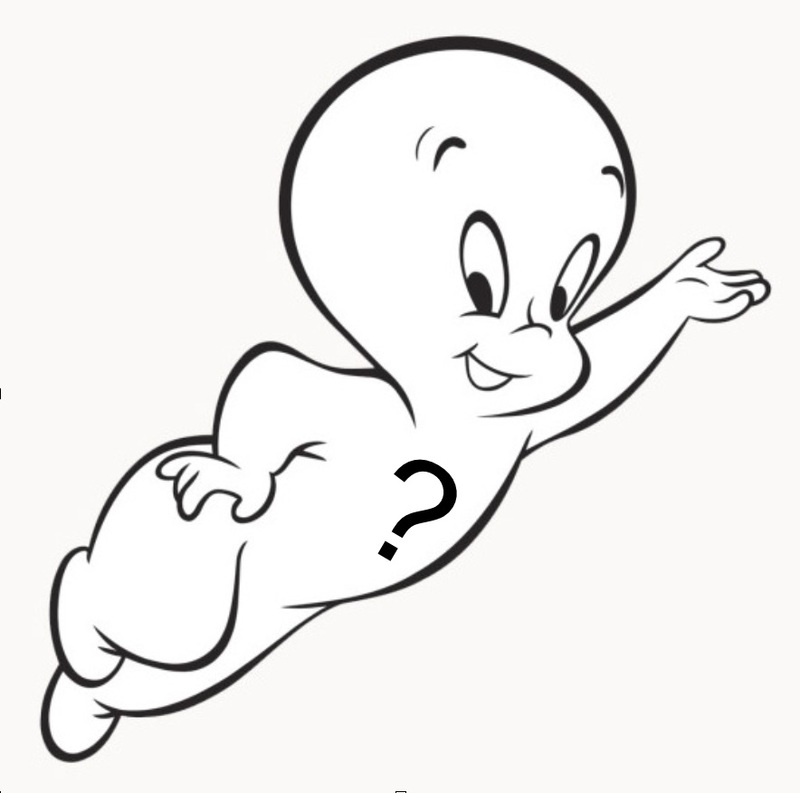 Sitting in sacrament meeting as a child, whenever someone got confirmed, at the exact moment the words “receive the Holy Ghost” were said, I pictured a smiling, disembodied spirit in white robes, rushing in through the window like a ghost—to possess the person sitting in the chair. The whole idea thrilled me and gave me goosebumps. God just flew in through the window and climbed inside someone! Of course, that was just a childish fantasy, right? (Because I also pictured “holding the priesthood” as my dad standing in front of the congregation, holding a mason jar of some strange substance at church, like it was his calling or something. I even used to tell my friends, “At our church, my dad holds the priesthood.”) Ah, the pictures we paint. So then, who, or what, is the Holy Ghost? Is it just some sort of energy field that fills the universe? Is it a person? Is he male? Is it a calling? Is it a God? Is it actually a ghost? Aside from some vague generalities taught in primary, as a people we generally know very little about this important topic. In fact, given the incredible importance of this topic, and our immense ignorance, I don’t believe it’s an exaggeration to state that this topic sits at the forefront of our damnation. Today’s post is actually the conclusion to a post I wrote over three years ago, called Feeling, and Fooling, the Spirit. That particular post is still one of the most-read posts on this blog—but it was really just an introduction to the topic, designed to deconstruct the common unbelief that feelings equal revelation. In this present series about the process of receiving revelation, we’ve at last reached the other end of the discussion that began with that prior post. Just as at the beginning, we will have to deconstruct some unbelief to get to truth, and as at the beginning, the unbelief centers on the Holy Ghost. One other note: to make this post accessible to as wide an audience as possible, all noted scripture references will come from the current LDS edition of the scriptures, rather than the Restoration Edition. Let’s get our bearings with a quick discussion of how we got to the holy mess we’re in. Though true teachings about the Holy Ghost go clear back to Adam, our current corrupt understanding harks back to early Christianity. Specifically, the idea of the trinity, as reflected in the early Christian creeds, made the Holy Ghost a person and part of the three-in-one god who manifests in different ways, different days, but is ultimately all the same being. But isn’t. But is. By the time Joseph Smith came on the scene, Christianity had labored over 1500 years with their still-incomprehensible god, who was universally accepted as the very god of the Bible. It was just a given that any Christian who believed the Bible, must de-facto believe in the trinity or be a heretic. As the Athanasian Creed put it after describing this mythical being: “This is the catholic [original] faith; which except a man believe truly and firmly, he cannot be saved.” The Protestant churches that sprang from the Catholic church kept firm belief in the trinity as the only possible way to properly interpret the Bible. Christianity and trinity were indivisible. The Lectures on Faith, edited by Joseph and comprising the “Doctrine” part of the Doctrine and Covenants was perhaps Joseph’s greatest attempt at setting matters straight concerning the God we worship and the makeup of the Godhead. It provides clear and direct information about these matters, though sadly, a later generation of church leaders, with inferior understanding, taught contrary ideas to Joseph’s. Unfortunately, Talmage’s views contradicted Joseph Smith’s views in several particulars. As a result, a committee that included Talmage and five others, arbitrarily removed the Lectures from our scriptural canon in 1921, without a vote of the church membership. Their explanation for their actions was essentially that Joseph simply got it wrong, being young and ignorant and all. 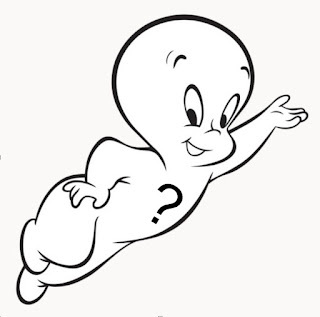 And so even today, the LDS church publishes and teaches fuzzy, incomplete, and inaccurate ideas about the Holy Ghost being a disembodied person in the Godhead, a “ghost” that travels around visiting people, leading primary kids to form silly pictures in their minds, where they remain forever. And thus, “feeling the spirit” is the LDS buzzword and focus of their emotion-based religion. But wait—we’re adults, capable of reading, critical thinking, and analysis. We have the scriptures before us, as well as the direct statements of a man who stood in the presence of the Father and the Son. So let’s spend some time with those resources, analyzing what they actually say. The only preparation required for this journey is to let go of our crayon pictures and superstitions. Let’s start with a blank slate and let the scriptures inform us. So there is some relationship between light, truth and intelligence. Therefore, being filled with light implies being filled with intelligence or truth, particularly because this light we’re discussing results from having an eye single to God, or more particularly, God’s glory, which definition we just read. Therefore, having an eye single to the glory of God fills you with light and gives you knowledge of truth, which is a function of the Holy Ghost. This is the point to remember as we move forward. In the Feeling and Fooling post, I noted there is a difference between the Holy Spirit and Holy Ghost, though scripture sometimes is a bit loose with that distinction and doesn’t make it clear. Back then, I didn’t go into that distinction because I knew it would take a lot more explaining and background, which is now, finally, in place. Note that Holy Ghost refers to power animating both the speaker and willing listener; it is a shared connection between them and God. Holy Spirit, on the other hand, refers to the power rejected by those who harden their hearts. It never gets into their hearts. This distinction becomes important as we move ahead. OK, so the Father and Son are personages. Glory: intelligence, or light and truth, as we’ve already covered. Power: See Part 1 of this series for a discussion of God’s power. Now there’s a third entity mentioned: the Holy Spirit, here specifically defined as the “mind” of the Father. Two personages, one mind. That makes three. 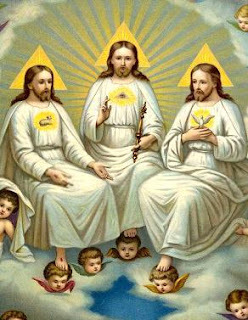 ...and these three are one, or in other words, these three constitute the great, matchless, governing and supreme power over all things: by whom all things were created and made, that were created and made: and these three constitute the Godhead, and are one: The Father and the Son possessing the same mind, the same wisdom, glory, power and fulness: Filling all in all--the Son being filled with the fulness of the Mind, glory and power, or, in other words, the Spirit, glory and power of the Father—possessing all knowledge and glory, and the same kingdom: sitting at the right hand of power, in the express image and likeness of the Father—a Mediator for man—being filled with the fulness of the Mind of the Father, or, in other words, the Spirit of the Father: which Spirit is shed forth upon all who believe on his name and keep his commandments: and all those who keep his commandments shall grow up from grace to grace, and become heirs of the heavenly kingdom, and joint heirs with Jesus Christ; possessing the same mind, being transformed into the same image or likeness, even the express image of him who fills all in all: being filled with the fulness of his glory, and become one in him, even as the Father, Son and Holy Spirit are one. Answer: Two: the Father and the Son. The Holy Spirit is NOT a personage, but is defined as the mind of God. Those who keep His commandments will receive grace for grace and will obtain the same mind, which makes them one with the Father and the Son. This Spirit of God, or mind of God, or Light of Christ at its lowest level, is that same power, or force, or light, that is in all things, that gives life to all things, and that quickens (makes alive) our understandings. But it is a power, not a person. It is a communication connection by which Christ’s light (intelligence/truth) can be in all things, including us. It is our connection to God. So thus far, we’ve delved into the Holy Spirit, but not the Holy Ghost. The Holy Spirit is the mind of God, providing a connection, through His light or power, to His truth. Now let’s consider the Holy Ghost. Note: this says Holy Ghost and not Holy Spirit, which we’ve already established is not a person. Given the three quotations above, what can we glean? Let’s consider them in reverse order. First, you cannot receive the Holy Ghost without receiving revelations. And how are revelations received? From God’s mind, through the Holy Sprit. You receive revelation when you access the mind of God. You cannot receive the Holy Ghost without accessing the mind of God. Second, the Holy Ghost is a personage, in the form of a personage. But the Holy Spirit, or mind of God is not. And now to address the third, let’s consider some questions. Q: What is it that abides inside you, has the form of a personage, and makes you alive? Q: In that same verse, it calls this the Record of Heaven. How can your spirit be the Record of Heaven? A: When your spirit is connected to the mind of God, with an eye single to His glory (intelligence, light and truth) then it has access to the record of heaven and the truth of all things. Such a connection, in its fullness, sanctifies you and makes your spirit, or “ghost,” holy, as your whole body is filled with light. Q: Therefore, who, or what, is the Holy Ghost? 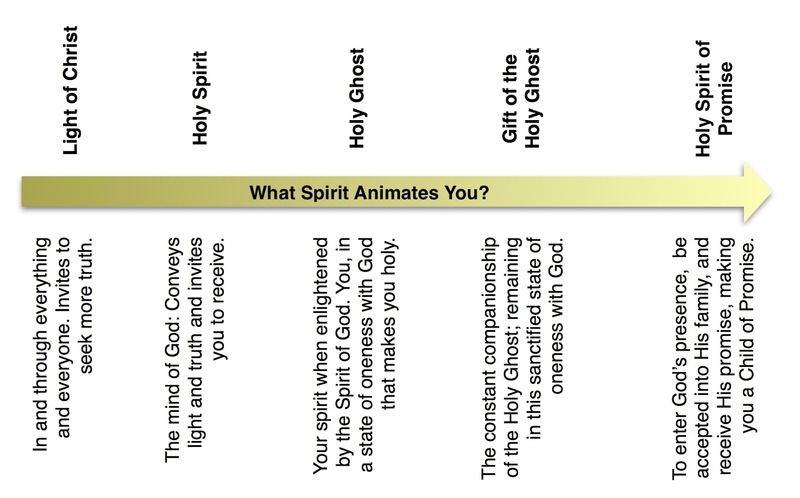 A: You Are!—when you are in a state of holiness, which is a connection to the mind of God, or Holy Spirit, your spirit becomes sanctified, or your “ghost” becomes holy. The Holy Ghost is therefore best understood as a state or condition of your own spirit. Or in other words, it is your spirit in a state of holiness. Thus, you can “receive” this state or condition, and also lose it. You have the Holy Ghost when your ghost is holy. The matter couldn’t be more plain. When you learn to remain in that state of sanctifying connection to God, such that you have continual access to His mind, then you have the “gift” of the Holy Ghost. Through this medium, it is possible to always be in tune with the mind of God. Repentance is to turn and face God. If you turn and face God with an eye single to His glory (intelligence, light, truth), your whole body is filled with His light. This light is received from God by means of the Holy Spirit, or the connection to God’s mind. When your spirit is connected to, and in harmony with, God’s mind, it becomes holy. Or in other words, when your eye is single to the glory of God, your whole body is filled with light. Your spirit, or “ghost,” in the state or condition of holiness, is called the Holy Ghost. Receiving this connection is what constitutes receiving the Holy Ghost. Its first reception is often described as being filled with fire and the Holy Ghost, as your spirit is remodeled in God’s image and you are born again. The sanctification and filling with light is very much like fire. The continual presence of this connection with God and its resulting holiness, is called the gift of the Holy Ghost. We should round out this discussion by considering what is called the Light of Christ. As also he is in the sun, and the light of the sun, and the power thereof by which it was made. As also he is in the moon, and is the light of the moon, and the power thereof by which it was made; As also the light of the stars, and the power thereof by which they were made; And the earth also, and the power thereof, even the earth upon which you stand. This light of Christ is the organizing energy or power that governs, creates, and upholds all things. It keeps the planets in orbit, and molecules connected. It is the power by which you are able to think, breathe and act. (Mosiah 2:21) All have access to it, regardless of their righteousness, desires, or consciousness of it at all. It is the most basic level of light and truth that fills the immensity of space and all things. You are connected to, and filled with it right now. The lowest level is the light of Christ. It is within everyone and everything. The next level is the Holy Spirit, which is the mind of God and gives access to truth and information. The next level is the Holy Ghost, which means your spirit is in harmony and unity with God’s spirit and mind. Through the Holy Ghost, you have access to all truth. The next level is the Gift of the Holy Ghost, which means you have the ability to abide in this unity of mind with God. And finally, the highest level, which we have not yet covered, and will only touch on briefly, is something called the Holy Spirit of Promise—the action of which makes you a child of promise, or a member of God’s household. This requires you to have received a personal promise from God. Now that we’ve studied what the scriptures and Joseph actually say about the Holy Ghost, I hope you have a very different picture than the one I had as a child. I hope you find this truth as astonishing and life-changing as I did when I first learned it. YOU are meant to be holy. YOU are called to be one with the Father and the Son. You have the potential to be enlightened with light, truth, intelligence and glory to such a degree that you possess the glory of God within you! Even in this dark, cold, fallen place, you can walk in holiness—a god veiled in mortal flesh, connected to those higher beings who have overcome this world. You can be precisely as they are if you will exercise the faith required to turn and face them, obey their truth, and receive their light into yourself. If the Savior gives this glory to any others, he must do it in the very way set forth in his prayer to his Father: by making them one with him, as he and the Father are one.—In so doing he would give them the glory which the Father has given him; and when his disciples are made one with the Father and the Son, as the Father and the Son are one, who cannot see the propriety of the Savior's saying, The works which I do, shall they do; and greater works than these shall they do, because I go to the Father? This series started with ask, and ye shall receive; then we continued into a discussion of God’s holiness and power stemming from His knowledge. And now, we’ve come full circle to an understanding of His invitation to you to receive access to that same holiness and knowledge. I hope His invitation to become as He is, now makes more sense. The invitation to ask, seek and knock is not merely designed to get you answers to prayers. In the end, God’s purpose is to give you eternal life by making you as he is. It begins with the connection—with receiving the Holy Ghost so you can be one with Him, by conversing with Him through the veil, prior to entering His presence. “The veil” may mean a variety of things. At its most basic level, it refers to your own flesh, veiling the god within you from the Gods above. Piercing that veil and forming that connection is the beginning of your redemption. It is the beginning of the return. The entire purpose of the doctrine of Christ is to allow you to receive the Holy Ghost; to become connected again, through the veil. To me, this knowledge has made more of a difference than anything else I’ve learned in my journey thus far. I pray it will be a blessing to you as well. Jesus answered, In the name of Father Ahman I say to you, Except you receive the ordinance of baptism to join the new dispensation, and thereby forsake your sins and receive forgiveness and an outpouring of the Spirit, you will not ascend to God’s presence in this life or the life to come. All who are devoted to the ambitions of the flesh remain imprisoned by the flesh, and those who are born anew through the ordinances, receive the Spirit of Truth, and are able to know the record of heaven by the Spirit of Truth. Do not question if what I say is true because the Spirit of Truth confers light, knowledge, and understanding of the mysteries of heaven within every soul who receives it.